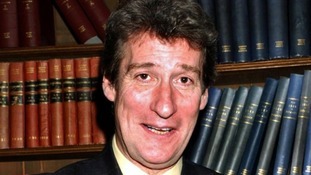 Jeremy Paxman isn't perfect. He'd probably be the first to admit that. He took his cynicism a bit far on occasion and he sometimes in recent years hasn't looked like his heart was entirely in his work in the Newsnight chair. But I don't think there is any doubt he is the most brilliant broadcaster of his generation. He has charisma. He has a sense of humour, attitude and style. He was robust at Newsnight, sure, but he somehow had a great deal of warmth about him, too. He'd have been pretty high up anyone's list as a guest to sit next to at Sunday lunch. But most of all, he has always radiated integrity. The public very evidently trusts him absolutely to pursue the truth without fear or favour and it is this that made him an icon. He will be a terrible loss to the programme. The rumour inside the BBC tonight is that he may have been encouraged to move on. That doesn't seem very likely, but if so you have to ask; have they gone stark, staring mad?